After a few years in the number two position, Andrew Potter has taken over as the Clerk of the Board of Supervisors. Potter replaces David Hall, who retired March 2. He was appointed by the Board of Supervisors on Oct. 31, following Hall’s retirement announcement. The office provides administrative support to the Board of Supervisors and a variety of services including access to the official records, passport services, notary public services, and applications for property tax assessment appeals. The department has 29 employees. You may recognize Potter as he has clerked many Board of Supervisor meetings since joining the County in 2015 as assistant Clerk of the Board. Combined with an earlier stint, he has spent eight years in the department. He has really hit the ground running in his new position. While getting ready for a remodel of the board chamber at the County Administration Center and temporarily relocating his entire department in June to accommodate the CAC’s Major Systems Renovation Project, he is looking for technology solutions to streamline all public-facing services, increase customer service satisfaction and enhance public records access. “I want to build on the department’s past successes by pursuing new and innovative ideas to modernize processes, improve access to official Board records, and foster relationships with our internal and external partners,” he said. Stepping into Potter’s position as Assistant Clerk is Erin Demorest. She joined the County last month from the City of San Diego where she served as the Director of Legislative Affairs. 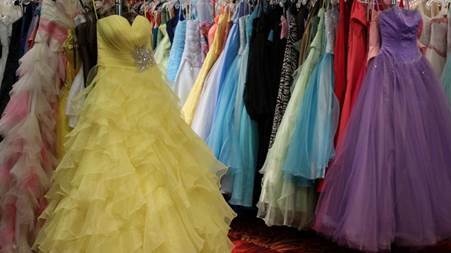 All 33 of the County’s Library branches are collecting gently used formal gowns for any high school student who needs one for the prom or other special occasion. County employees who would like to join the collection drive can drop off special occasion dresses at two additional sites. Library headquarters at the County Operations Center is taking dress donations between 8 a.m. and 5 p.m. at 5560 Overland Ave., Room 110, now through April 15. The bookmobile will also accept gowns during its regular Friday stop at the County Administration Center from noon to 4 p.m. this week. The gowns will be donated free at Library giveaway events at the Vista branch on April 20 and the El Cajon branch on April 27. Teenagers can sign up to get a dress through the Princess Project. The tax deadline is quickly approaching. Filing your taxes can be stressful, but PerkSpot is offering County employees 20 percent off at H&R Block, up to $30 off TaxAct or up to $20 off TurboTax preparation services. Don’t wait until the last minute – take advantage of the savings today.